Shadrach, Meshach and Abednego knew all about trusting God. They were captured as young boys and dragged far from their homeland, their families (what was left of them) and their life. They were forced to learn a new language and culture, forced to serve a foreign king. Yet they committed themselves to remain faithful to God — no matter the cost. In Daniel 3 we see their story. You’ve probably heard it many times. “Bow down to the golden image,” they were told. “Bow down or die in the blazing, fiery furnace.” Yet they stood when all around them caved. They obeyed the one true God above the king. The king was enraged and warned them of their impending punishment. What did they say? If you read further you find that the king flew off the handle at this point. He was so enraged that he ordered the furnace to be seven times hotter than normal — so hot that the men bringing our faithful heroes to their doom were killed by the heat. And yet, they were unharmed. They didn’t even smell of smoke. This is where the rubber meets the road when it comes to trust. God is able to deliver, but what if he chooses not to? 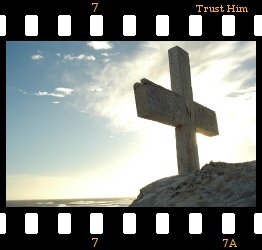 How are we to trust him knowing that he may choose not to do that which we want from him? God does not want us to trust him for something — rather he wants us to simply trust him. Period. End of statement. We know that God is able to do the things that we desire. He did deliver Shadrach, Meshach and Abednego. They did come out of the fire unharmed.